Discussion in 'XJ DIY How-To Instructions' started by tabaka45, Jan 3, 2017. This is a straightforward repair as long as you have the proper tools and take a couple of precautions which I learned the hard way. In addition to the normal metric sockets you will need an impact wrench, probably an extension, and a T-30 star socket. 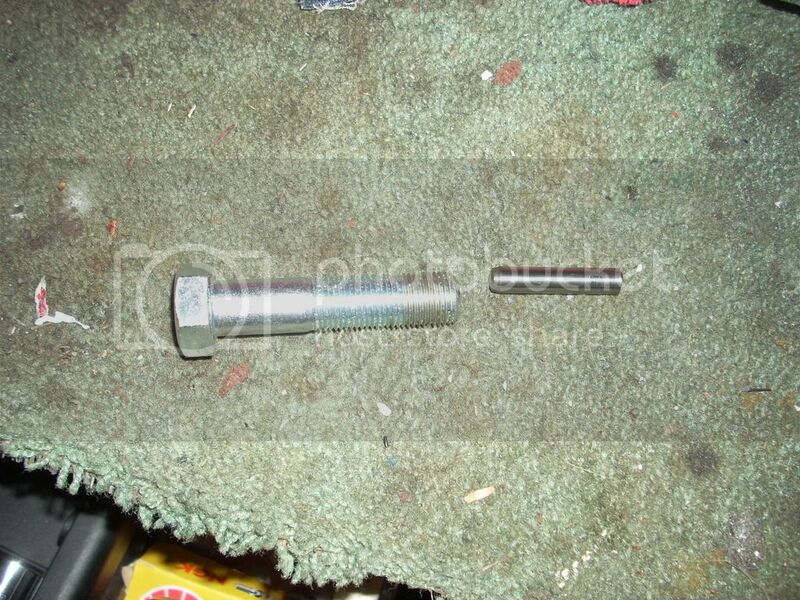 You will also need a stator removal bolt and a metal dowel both available from Chacal. I've attached some pictures below . 1. 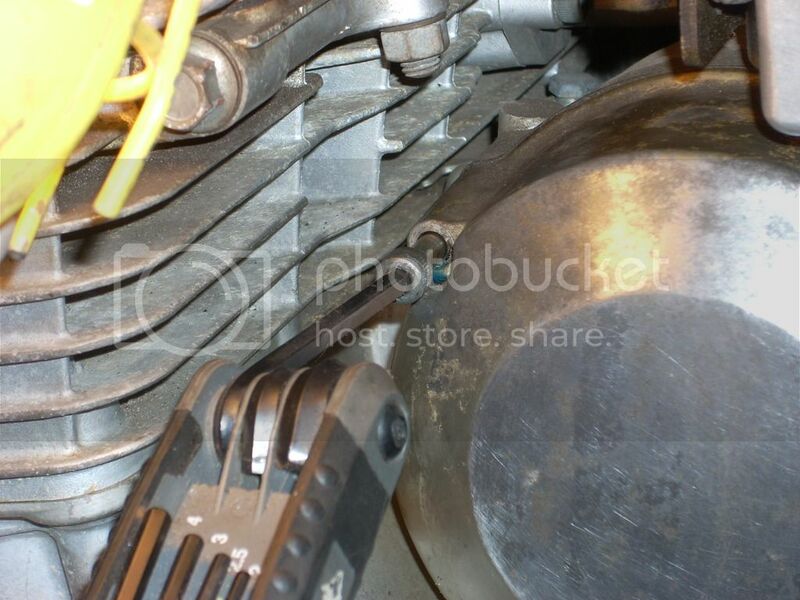 Use the proper metric allen wrench and remove all three allen head screws that hold the alternator cover on. 2. 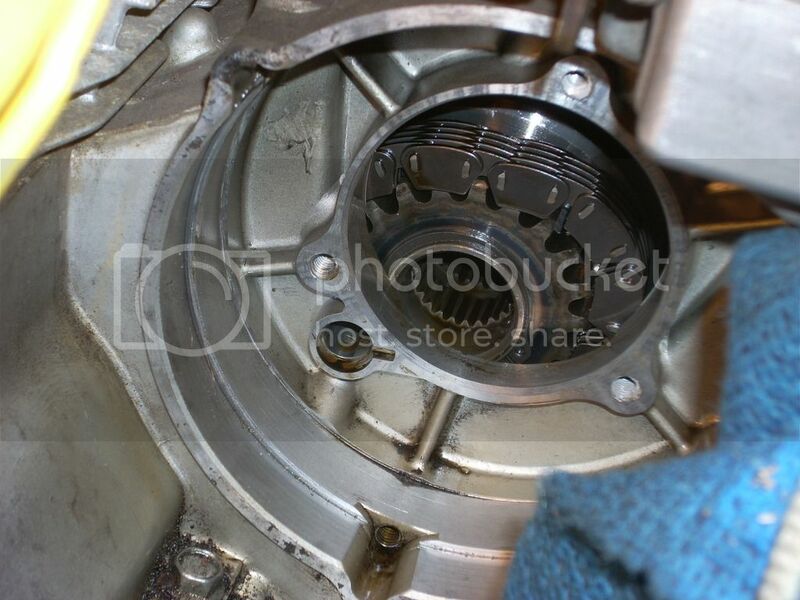 Carefully remove the alternator cover. 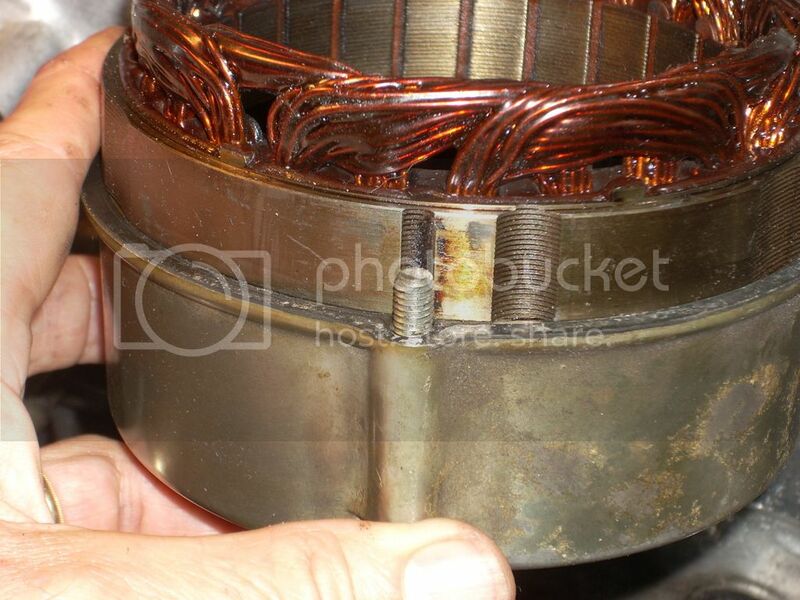 The coil may come off with it so be careful not to damage any of the wiring. I left my coil in the covering and suspended them to the side and out of the way. 3. 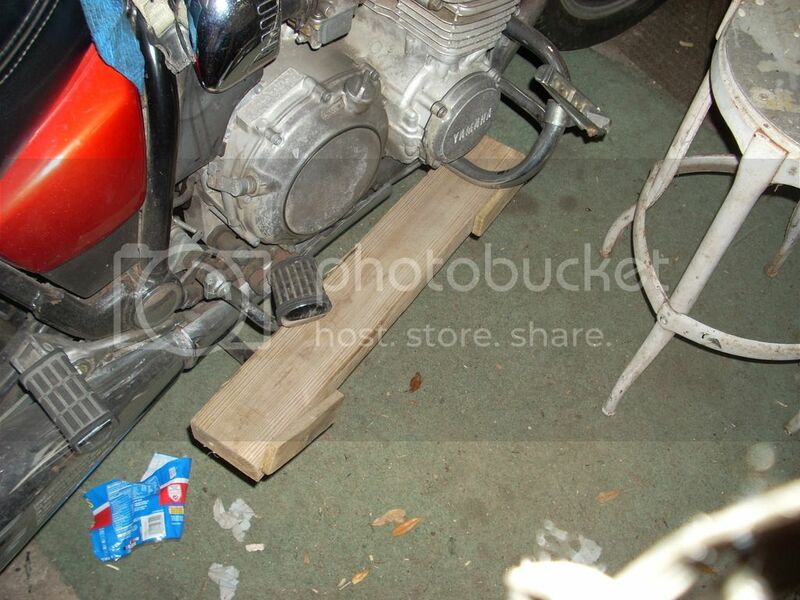 Put the bike in 4th or 5th gear and have someone press on the brake or use a board to depress the brake as I did. 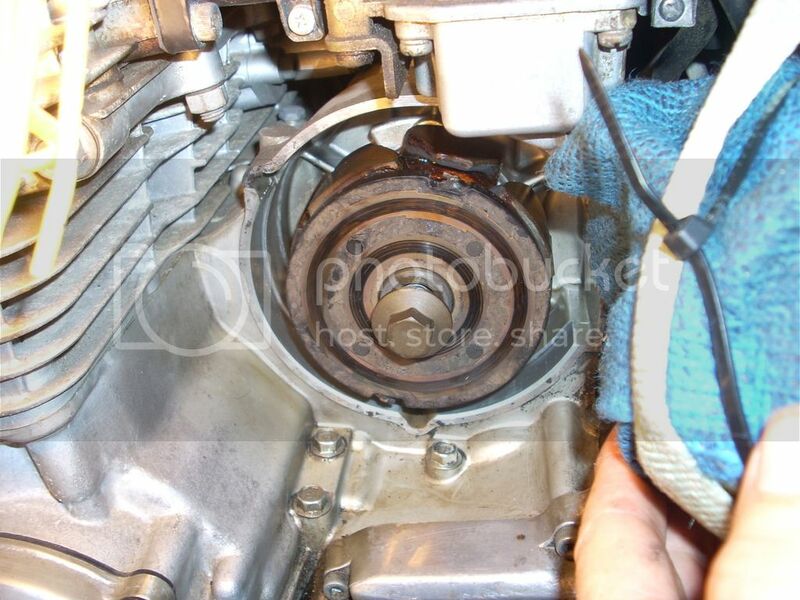 Then with the proper socket remove the stator bolt. 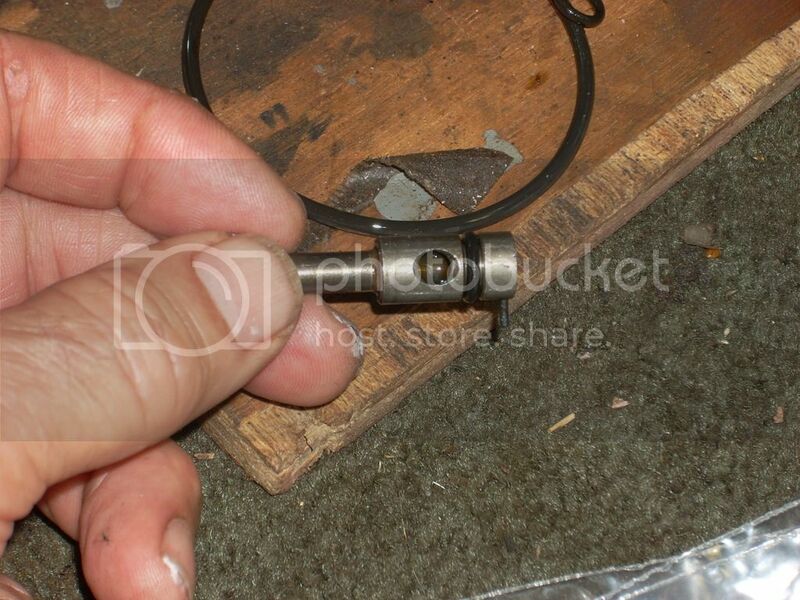 4. insert the metal dowel in the stator shaft and then insert the stator removal bolt. 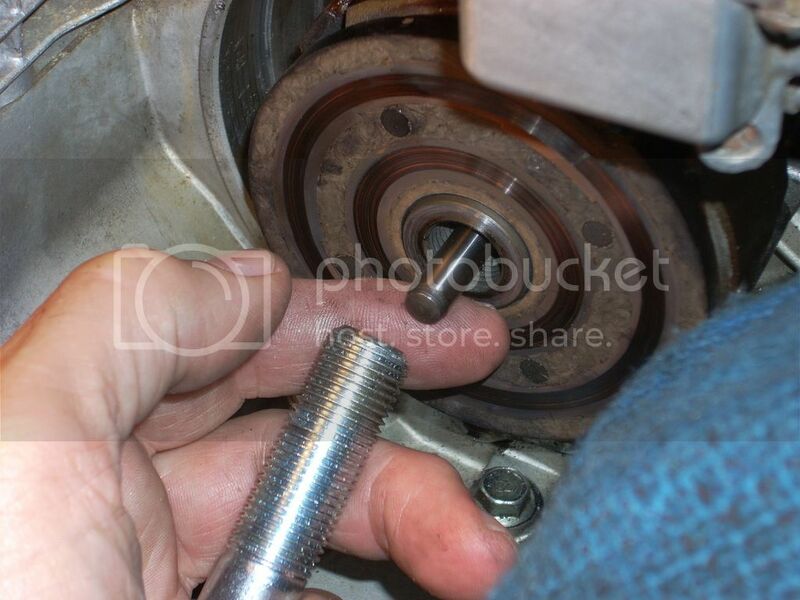 With the proper socket tighten the removal bolt a little and then lightly tap it with a hammer. Tighten some more and tap again. Continue until the stator pops off. 5. Using an impact wrench, extension if necessary, and the proper star socket (T-30 in my case) loosen the three star screws hold on the shaft housing. The screws are installed with thread lock I think, but in any case it might take a fairly hard hit to loosen them. (I'm told that some screws may be phillips type or even allen type) It will be very easy to damage the screw heads if they are in tight (and probably will be) and you don't use an impact wrench. I got mine out without damaging them but had gotten new ones for Chacal at the same time I ordered the shaft seal and o-rings. 6. 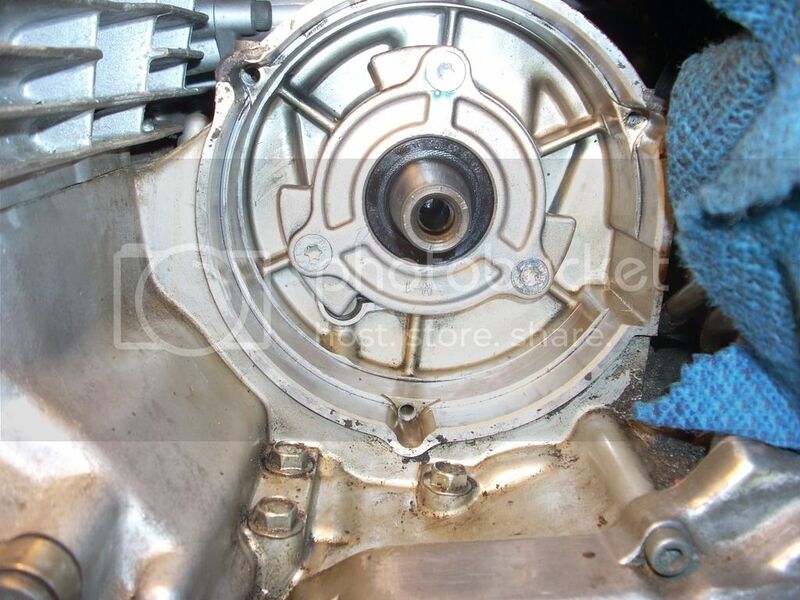 Remove the shaft housing--BE CAREFUL OR THE SHAFT MAY COME WITH IT AND THAT AIN'T GOOD. I learned that the hard way and nearly had a stoke. Fortunately, I was able to get the shaft back in with no damage. 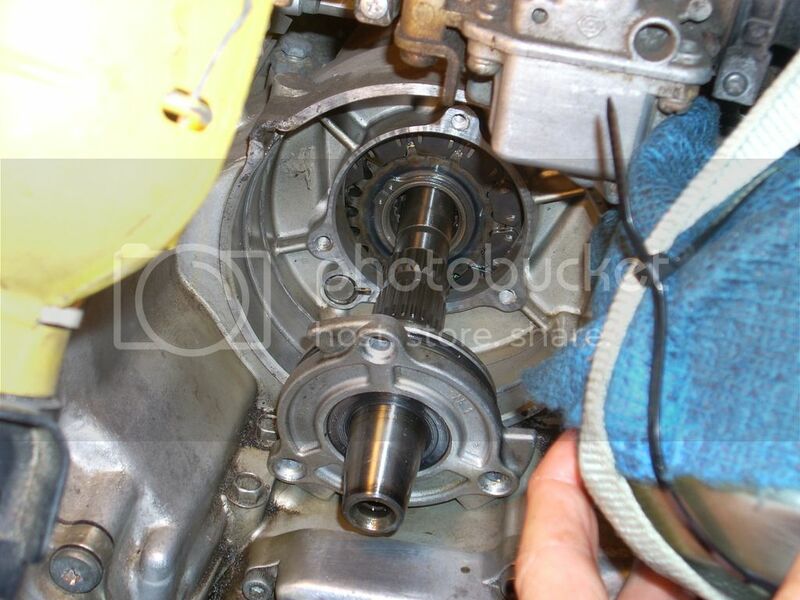 Just be sure the press in on the shaft while removing the housing and everything will be ok. You can see the oil nozzle iinstalled in the lower left of the first picture and the opening for it in the second picture. 7. 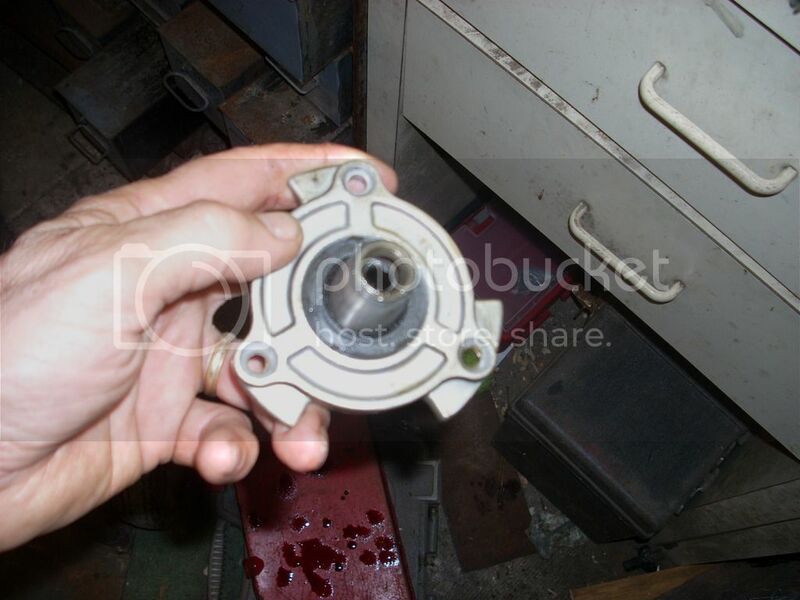 Remove the shaft seal from the front of the housing. I had to use something like an ice pick to pry it out. Be careful not to damage the housing. Lightly coat the new seal with oil or better yet silicone grease and install it in the housing. 8. 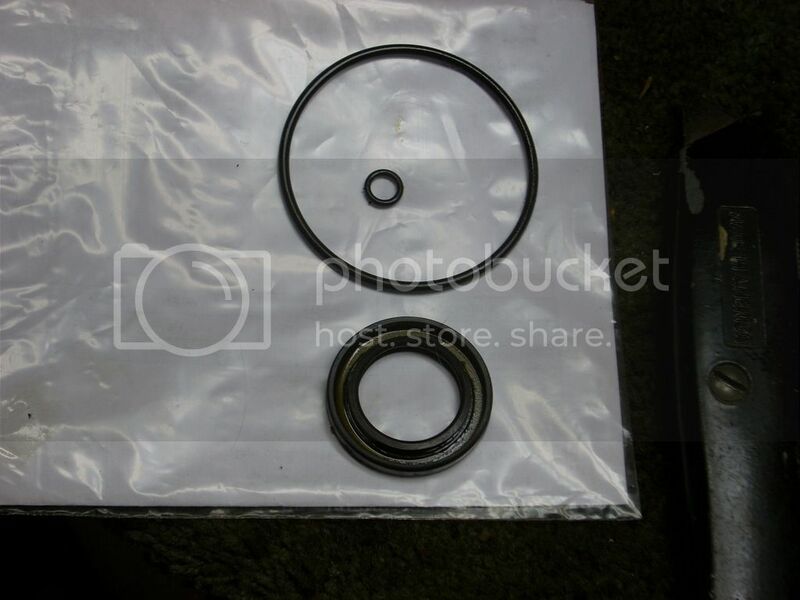 Remove the old o-ring from the back of the housing and replace it with a new one lightly coated with silicone grease. 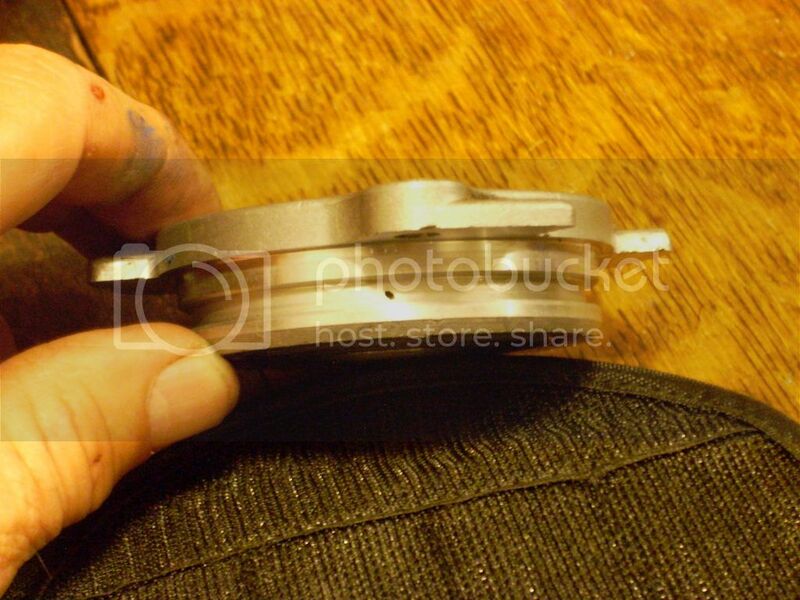 Inspect the groove for the o-ring to make sure it is smooth all the way around. Mine had a casting flaw resulting in a small hole in the groove and that is probably where my oil leak was coming from. I cleaned the hole with brake cleaner and filled it with RTV and it solved the problem. 9. 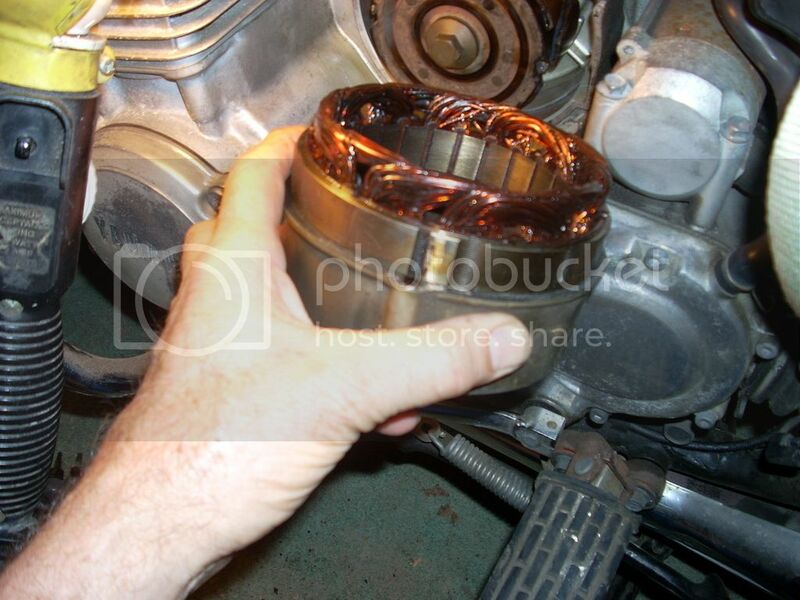 Remove the oil nozzle and replace the small o-ring, lightly coated with silicon grease and reinstall. (oil nozzle must be installed before installing shaft housing) When installing the oil nozzle be careful not to push too hard or it will break the pinch pin. 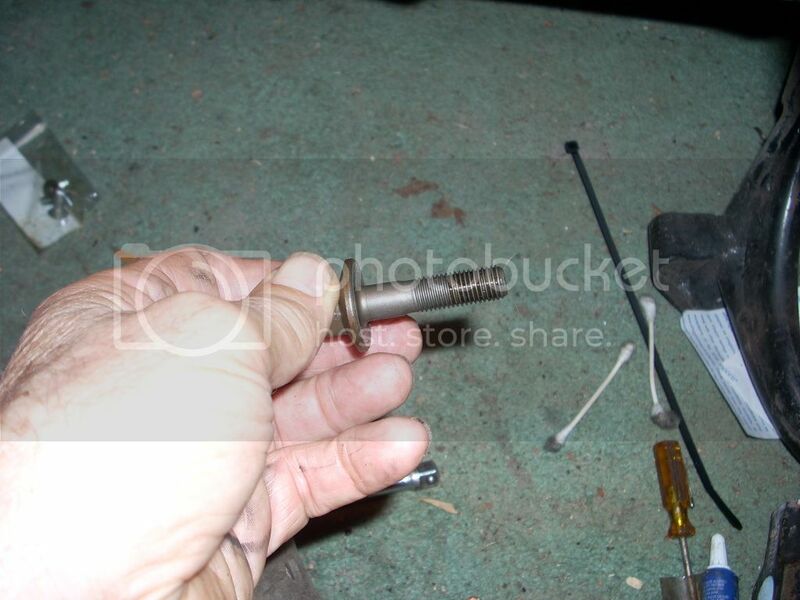 This pin insures that the oil nozzle is in the proper position to match up with the oil supply inlet in the engine. See the pictures. 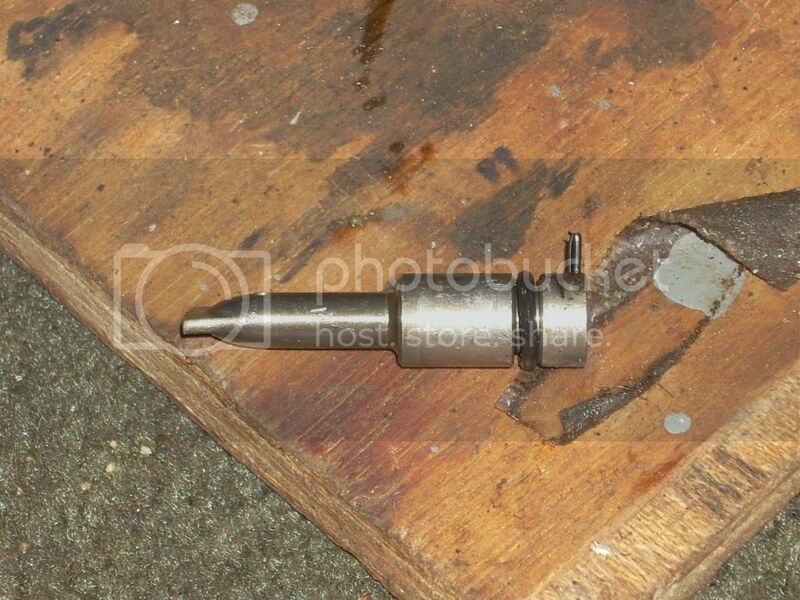 If you brake it then it will need to be drilled and a new pin installed--or simply buy an new one from Chacal. 10. Reinstall the shaft housing. 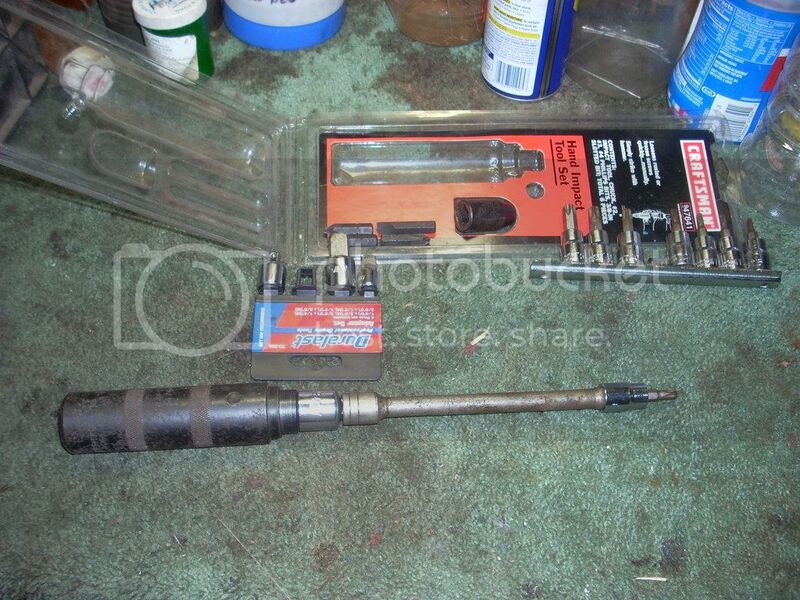 Do not coat the tapered portion of the shaft with any oil, but the the rest of the shaft can be lightly coated. I had to wiggle and lightly tap the housing to get it to slid one. Install the three star screws. I put a very very small amount of thread lock on each screw, but some folks say that isn't necessary. Since my impact wrenh works to tighten as well as loosen, I lightly tapped the screws with the impact wrench to be sure they were tight. 12. 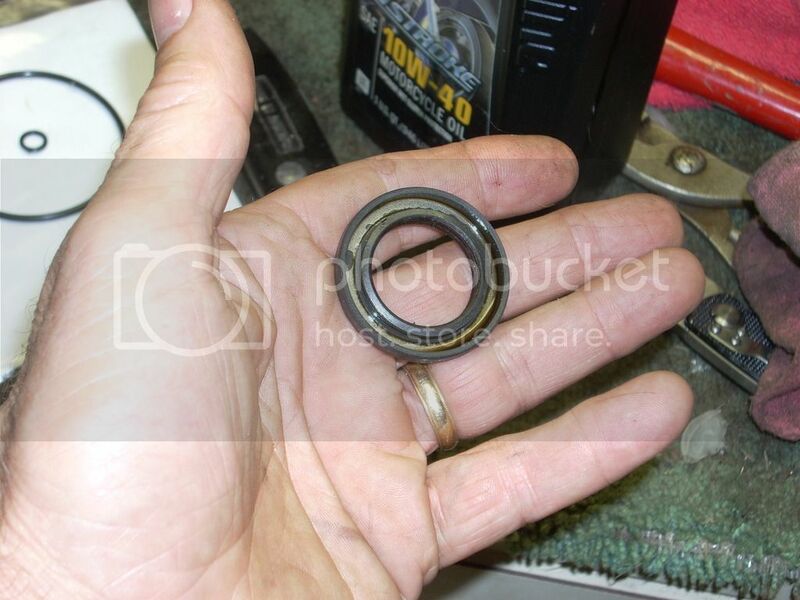 Insert one of the alternator cover screws into the cover and align it with the groove in the coil and carefully slide the coil and housing into place. Insert the remaining two screws and tighten and you are all done and ready to ride. I really do know the difference between "brake" and "break." Guess I just had "brake' on my mind. Anyway, glad you liked it and I sure hope it helps someone avoid the same problem I had with the shaft coming out. I still think I was very lucky to get it back in and have no damage. 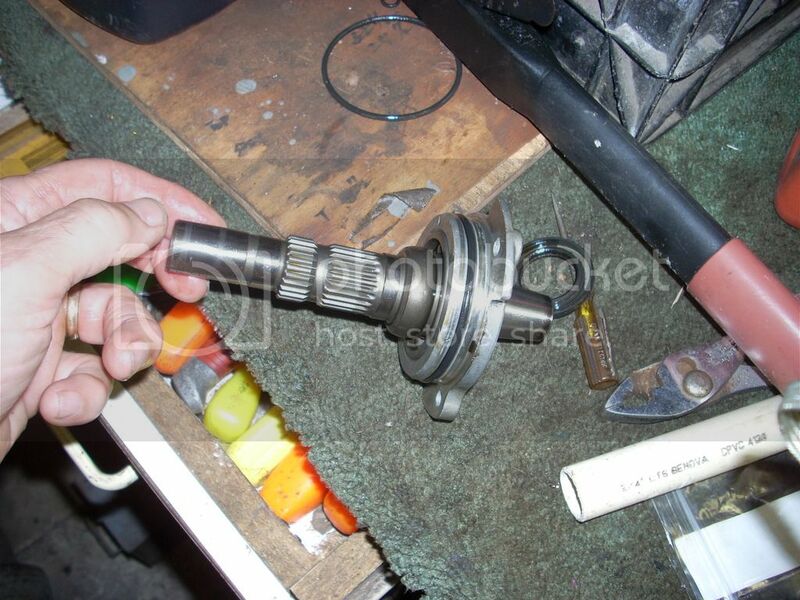 I'd like to add that the threads of the rotor removal bolt should be lightly oiled to help prevent galling. 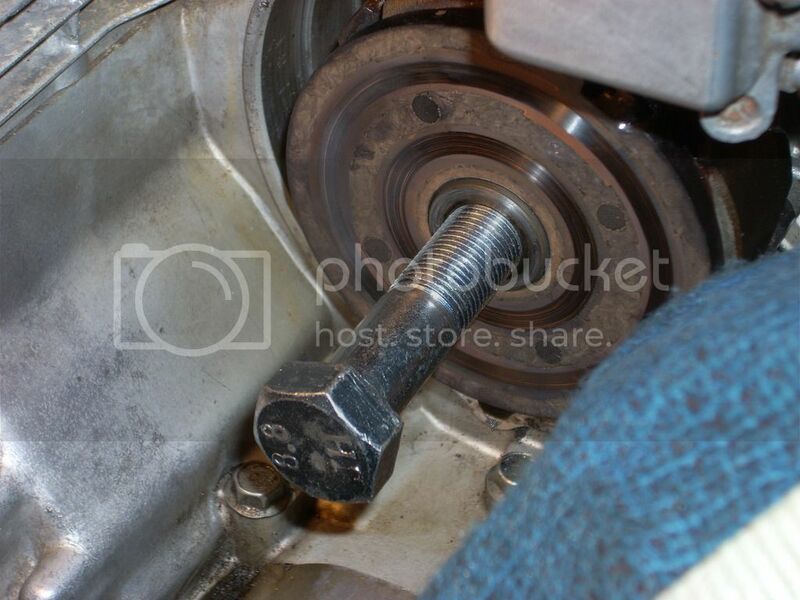 That bolt can end up with a lot of pressure on the threads before the rotor pops off. After I finished I tried to start the engine and nothing happened and I was afraid I had damaged some wiring. But after collecting my thoughts I realized that it was still in 5th gear. That was an easy fix. Sometimes there's a simple answer. Bummer! I can't seem to get the pictures to be permanent. Any way to just copy and paste them from my computer? Edit your posts, click the "More Options" button, then "upload file". You posts may be time locked for editing, in which case....well a mod can still edit it, but I've got no time right now and you'd have to e-mail me the files.